The trouble is superheroes don't like having nothing to do. They soon get bored and decide to help out around the hotel. But their efforts backfire terribly, creating chaos and putting the hotel in danger. The superheroes must work together to save the hotel before it's too late! 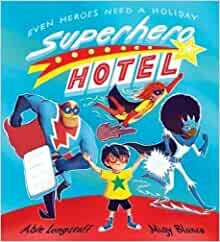 Start reading Superhero Hotel on your Kindle in under a minute. 5.0 out of 5 starsGreat fun to read! Daughter read this at school;loves it! 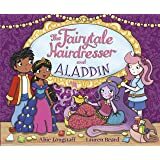 We got this as a holiday read for my son who is 5 nearly 6, but my daughter listened whilst I was telling the story. We liked the story and I particularly liked the illustrations. We would've loved to hear a bit more about Joe Maloe, and it also would've been more fun to see some of the other rooms inside the hotel. This could be a lovely series of books featuring the different super heroes and what happens during their stay. My nearly 4 year old son loved this book so much when we borrowed it from the library, I’ve had to buy a copy as we couldn’t keep renewing it forever! !